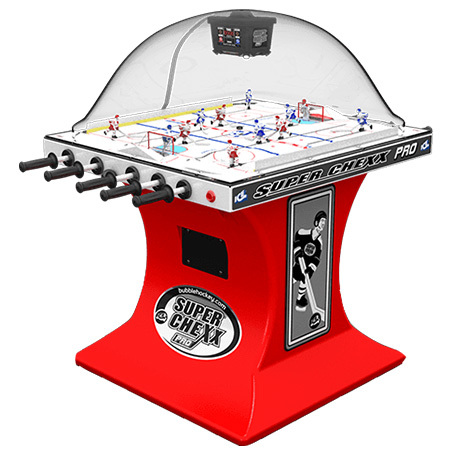 ​An all-time classic from ICE, Super Chexx is known as Bubble or Rod Hockey because of the very distinguished, indestructible dome that covers the playing surface. 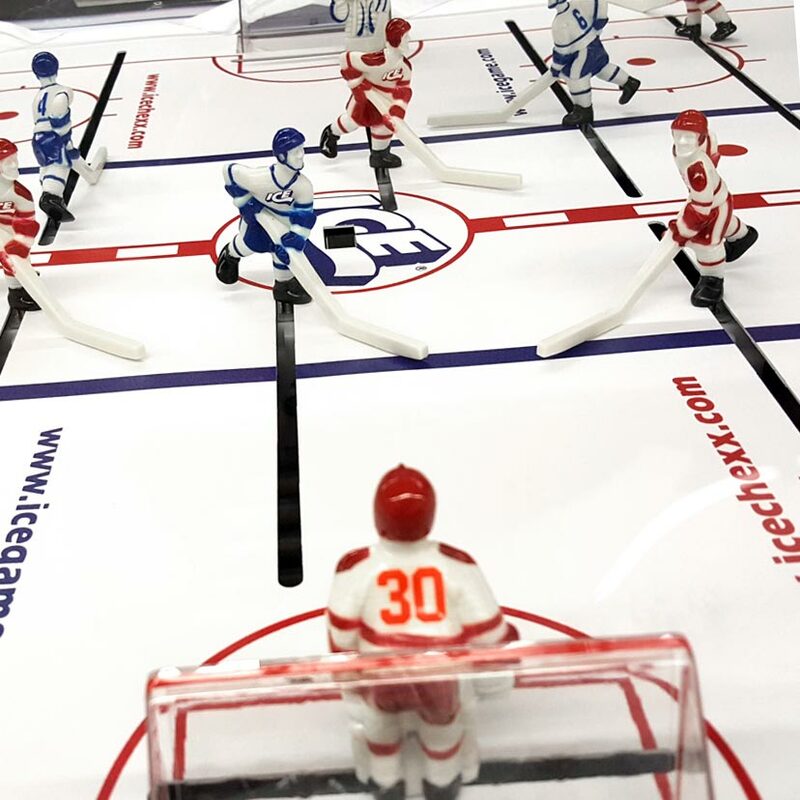 Game play is fast and realistic as players each control 5 hockey players and a goalie. 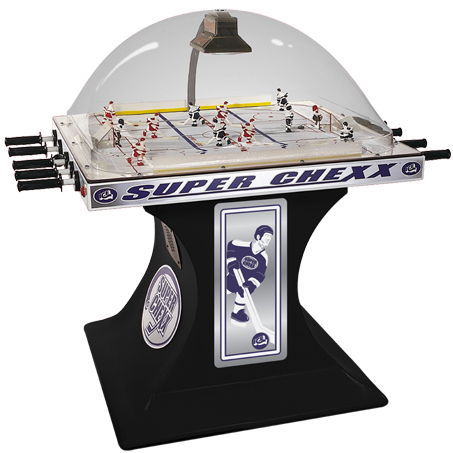 Super Chexx can be played one on one game, or two on two (in tournament-style play). 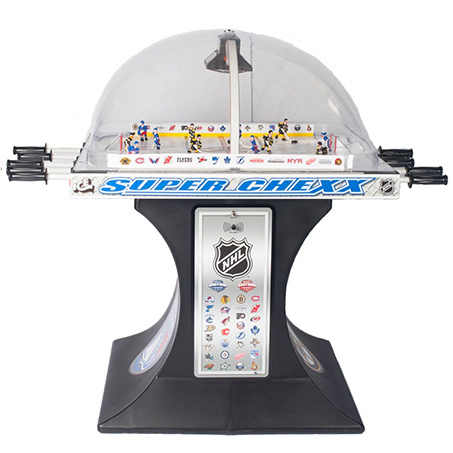 Recorded stats include GOALS, SHOTS ON GOAL, PERIOD, and RUNNING TIME (which is operator adjustable). 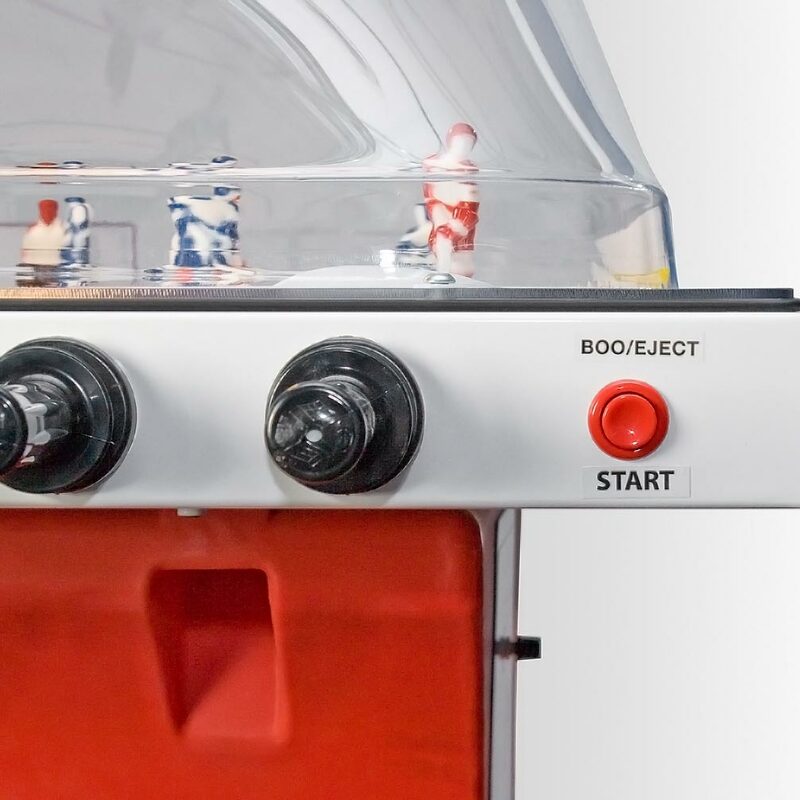 An automatic puck return system, overhead dome lighting, and sudden death overtime mode all make for fun and exciting game play!